There is nothing quite like a winter bake to chase away the winter blues and you get the bonus of a lovely warm kitchen at the same time. So pop the kettle on and enjoy planning a nice winter bake for your friends or family to enjoy. 2019 seems to have got off to a flying start and we have already had some delicious recipes linked up to #CookBlogShare. But before I get down to this weeks linky and sharing my pick of the recipes linked up last week, I have some exciting news to share. Regulars to #CookBlogShare will be familiar with Only Crumbs Remain a lovely baking blog set up and written by my blogger friend Angela. Many of us were saddened when she decided to call time on her blogging in order to pursue her new found passion, pottery. Her lovely baking blog was going to go offline later this year when her current hosting package ran out but a chance conversation led to me taking over the blog. If you look at Recipes Made Easy then you will know I too am a passionate baker and I quite often post bakes here on Recipes Made Easy. But sometimes if I’m honest they can be slightly more challenging and perhaps not exactly easy. So an exclusively baking blog is the perfect place to publish them, which is my plan going forward. Keeping Recipes Made Easy the place for easy everyday recipes and just the occasional easy bake. At the moment I am busy giving Crumbs a bit of a new look so that it fits in with my style of writing. I am also dealing with some of the technical issues of moving from one blogging platform to another (Blogger to WordPress) but as soon as I get that sorted I will be adding new recipes to the blog. Meanwhile, you can follow me on at Only Crumbs Remain on Instagram and Facebook. If you want to check out Angelas Ceramics which she sells on Etsy check out Etsy Shop Yorkshire Ceramics. Baking is my answer to so many things. Feeling Happy – Bake! Feeling sad – Bake! Meeting ups with friends – Take a bake. Summer, feeling hot – Make a quick bake and go on a picnic. Winter, feeling cold – Bake. 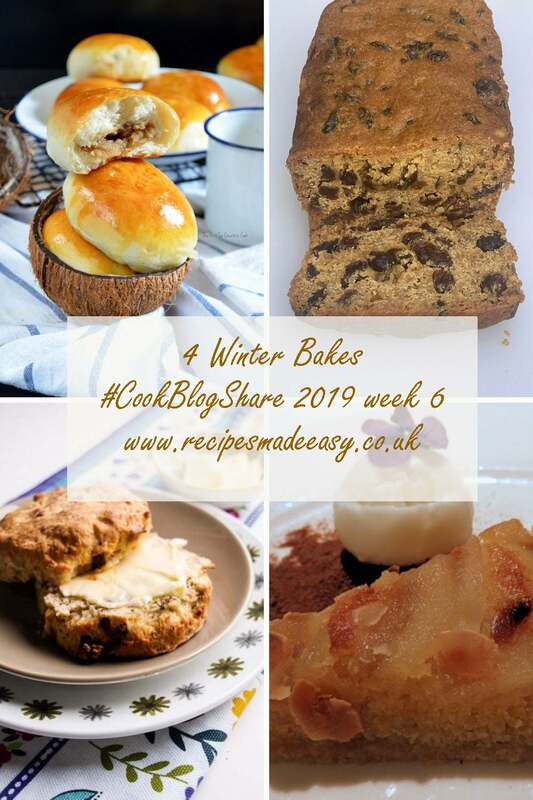 I think you get the gist and because baking is very much at the forefront of my mind at the moment I decided to pick 4 winter bakes from last week #CookBlogShare hosted at Easy Peasy Foodie. It would seem I’m not the only one who likes to bake when it cold. The first Bake to take my eye was these Pan De Coco from The Not So Creative Cook. 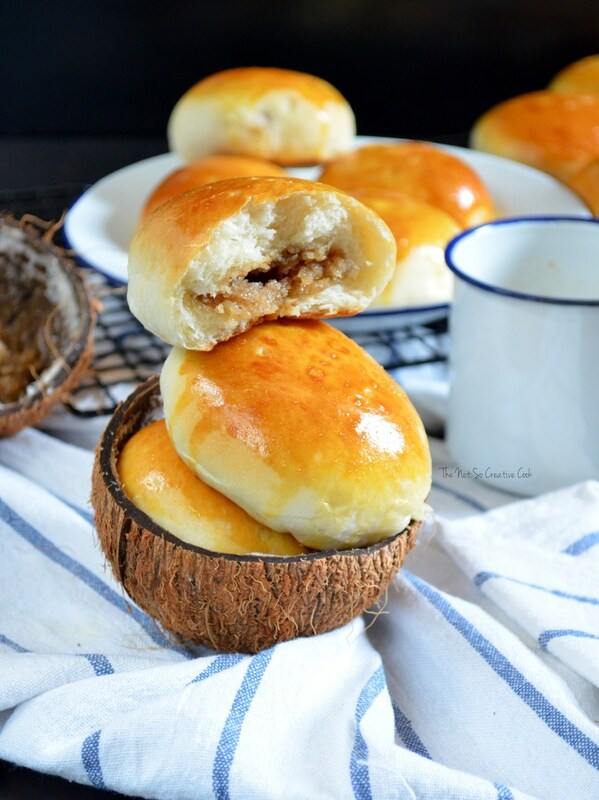 These are sweet buns from the Philippines filled with sweet coconut filling (using freshly grated coconut). I have not come across them before and I love to try new bakes so this is one to add to my must-try list. Why keep scones just for the summer. 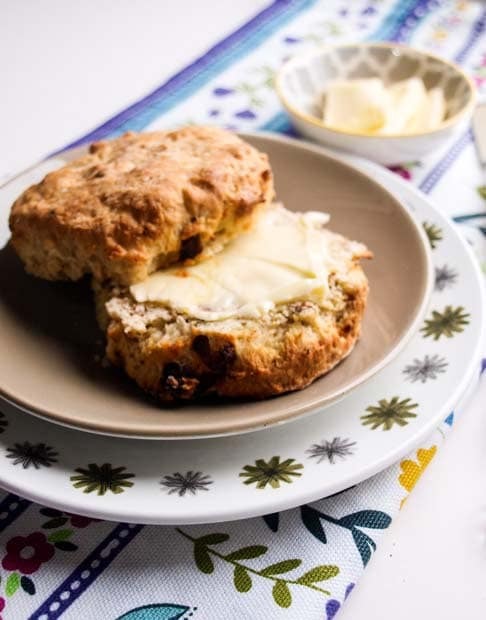 These Date and Walnut Scones from Farmer’s girl kitchen would make a delicious sweet tea time treat any time of year. All they need is a little butter- No jam or cream required. 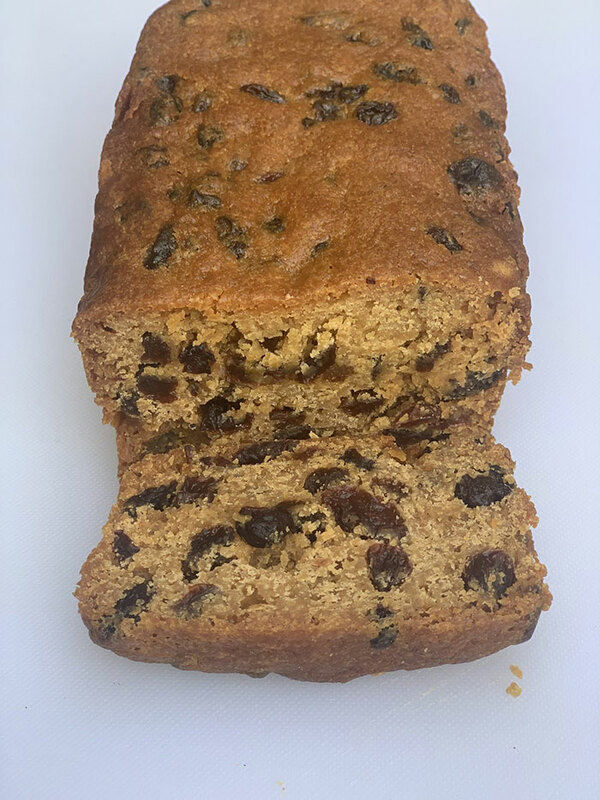 Clare from Easy Peasy Lemon Squeezy linked up her mums Lincolnshire Plum Loaf Cake which would also make a great teatime treat. It’s one of those no nonsense cakes which are easy to make and you know is going to taste great. Her family often serve it with cheese. 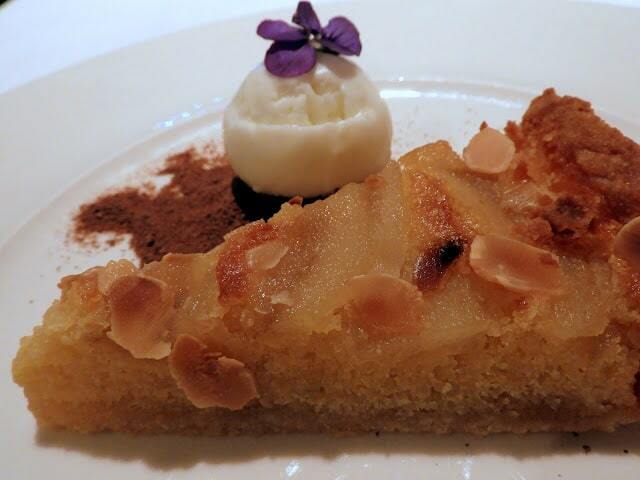 I love Frangipane Tarts and this Pear Frangipane Tart from Pebble Soup is a classic. What’s not to love about a delicious almond flavoured sponge topped with pears. I would serve this with custard in the winter and ice cream or whipped cream in the summer. Non-bloggers – skip to the bottom of the page and click on the thumbnails that catch your eye to take you to the website where the recipe can be found. Remember they will be added to as the week goes on, so don’t forget to pop back and take a look again later. Bloggers Linking up this week? I will make sure I find the time to visit every post linked up this week, pin the recipes to our brand new shiny #CookBlogShare group board and tweet the recipes. If you wish, you can tweet me a link to your recipe @jacdotbee as well as (if you have room on the tweet!) my co-hosts Eb @easypeasyfoodie and Monika @MonikasRecipes, using the #CookBlogShare hashtag and we will retweet all that we see. I will also comment on as many recipes as possible. Even if I do not have the time to comment on your post please rest assured, we really appreciate you taking the time to link your recipes and share others, we love having you as part of our fabulous #CookBlogShare community. Link up a recipe or foodie post by clicking the blue ‘add your link’ button below and following the instructions. You can link up to 4 posts. Add the NEW #CookBlogShare badge to your post (Code below – for WordPress copy and paste the code below into the text view of your post). Comment on some of the other recipes linked up here (at least 2 for each link added but the more you can the better) and generally share the love with a bit of social media action! Plus comment on either this post or one of the posts labelled HOST in the linky. Just to remind you, by joining in you are giving the #CookBlogShare hosts permission to use your pictures in a roundup and on social media if your recipe is selected as one of our favourites! Don’t forget to add #CookBlogShare to your Instagram post and check out/comment on what others are posting on the #CookBlogShare feed. You can also post your recipe on the Cook Blog Share Facebook Page. So, it’s over to you. I can’t wait to see what you’ve all been cooking! Next week’s linky will be hosted by Monika atEveryday Healthy Recipes . these look amazing! I’ve been feeling like doing some baking, so you’ve inspired me! Ooh, all these bakes sound delicious. It’s definitely baking weather at the moment. I’m planning a session in the kitchen later today, ready for half term. What a fab round up. Baking is so close to my heart, I think I may be officially obsessed…. Loving them all in equal measure. Thanks lots for hosting. Have a great weekend. These bakes all look absolutely delicious! Congratulations and Well done on taking over Angela’s blog – I was delighted to hear the news. Looking forward to future posts! Thanks Jo I am really looking forward to taking Crumbs forward and yes there are some fabulous recipes on there that it would have been a shame to have lost completely. Really looking forward to seeing your take over Only Crumbs Remain and all the new recipes to go with the existing ones. What a lovely theme for the week! I have to admit I have done hardly any baking this year but feel quite tempted to try something now. Hello, Jacqui. Thank you so much for including my Pan de Coco in this week’s featured recipes – I am doing a happy dance now. 😀 I really hope you can try them and will love them, too. Thanks for hosting this week & I wish you a lovely week!